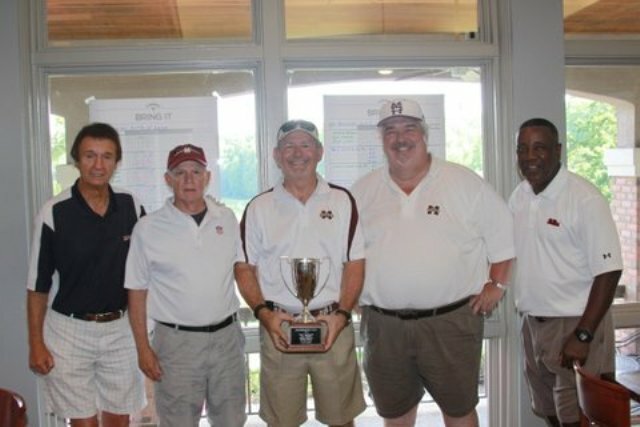 As part of the Mississippi Weekend in Georgia 2015, the 3rd Annual Mississippi Society of Georgia Celebrity & Alumni Golf Tournament took place at Chapel Hills Golf Club on June 5, 2015. We had almost 50 golfers and raised about $7,500 in scholarship funds toward Mississippi colleges. Checks were given to the foundations at Alcorn State, Delta State, Millsaps, Mississippi State, Mississippi Valley, Ole Miss, and Southern Miss. Thank you to our generous golf tournament sponsors including Hennessy Auto Group, Colony Capital Management, Q Solutions, The Leon Goodrum Foundation, Ruth's Chris, & Lazy Magnolia! Thank you for your support in making the golf tournament a success! Watch the golfers take off to begin the 2015 tournament here.